Ann Patchett was born in Los Angeles in 1963 and raised in Nashville. She attended Sarah Lawrence College and the University of Iowa Writers' Workshop. In 1990, she won a residential fellowship to the Fine Arts Work Center in Provincetown, Massachusetts, where she wrote her first novel, The Patron Saint of Liars. It was named a New York Times Notable Book for 1992. In 1993, she received a Bunting Fellowship from the Mary Ingrahm Bunting Institute at Radcliffe College. Patchett's second novel, Taft, was awarded the Janet Heidinger Kafka Prize for the best work of fiction in 1994. Her third novel, The Magician's Assistant, was short-listed for England's Orange Prize and earned her a Guggenheim Fellowship.Her next novel, Bel Canto, won both the PEN/Faulkner Award and the Orange Prize in 2002, and was a finalist for the National Book Critics Circle Award. It was named the Book Sense Book of the Year. It sold more than a million copies in the United States and has been translated into thirty languages. In 2004, Patchett published Truth & Beauty, a memoir of her friendship with the writer Lucy Grealy. It was named one of the Best Books of the Year by the Chicago Tribune, the San Francisco Chronicle, and Entertainment Weekly. Truth & Beauty was also a finalist for the Los Angeles Times Book Prize and won the Chicago Tribune's Heartland Prize, the Harold D. Vursell Memorial Award from the American Academy of Arts and Letters, and the Alex Award from the American Library Association. 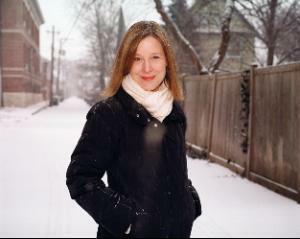 She was also the editor of Best American Short Stories 2006.Patchett has written for numerous publications, including the New York Times magazine, Harper's, The Atlantic,The Washington Post, Gourmet, and Vogue. She lives in Nashville, Tennessee, with her husband, Karl VanDevender.